A recent discussion on ESD testing led to the more general question of how much testing is enough? As usual, the answer is: it depends! Decades ago, people used to design and manufacture electronic products, equipment and systems, and learnt by experience what was required for them to function reliably and keep their customers happy. They kept records of what design issues were important for which storage, transport, and operating environments and devised their own ‘ad hoc’ tests to try to make sure that they designed and manufactured products, equipment or systems that were profitable. I have walked through production lines that had been abandoned when companies went bust because their warranty return rates were too high. They were spooky, like ghost towns. These days we have the big advantage of numerous design and test standards produced by national, and international committees. We have standards on EMC; safety; functional safety; and resistance to shock & vibration, temperature extremes and cycling, humidity, moisture, water, dust, sand; etc. – everything we need to make sure a typical product, equipment or system will at least meet the minimum requirements of its typical customers and users. Not only that, but the use of common design and test standards helps customers compare products, equipment and systems from different manufacturers, and has made it possible to buy standardised test instruments that give manufacturers much better (and safer!) test equipment than they could ever have created themselves. For example, one company I worked for in the 1980s had been using their own version of the electrical fast transient burst immunity test. A few turns of mains wire were passed around their product, connected at one end to the neutral mains terminal, and at the other to the tang of a large and very coarse metal file. The live mains terminal was connected through the winding of a washing machine motor, to a bare wire that the tester brushed along the length of the metal file, causing a huge amount of sparking. Not only was it difficult to get repeatable results on different days, but it was very dangerous indeed to use, and I got rid of it immediately I discovered it. Some of these standards have been embodied in legal requirements, especially those relating to goods imported across national borders. In the UK, we are of course most familiar with European Union (EU) Directives, and their lists of ‘harmonised standards’ that are published in the Official Journal of the EU. Most countries outside the EU, such as the USA, Canada, China, Russia, etc., also have mandatory standards that certain types of products, equipment and systems are required to comply with. The result is that these days we have become very used to designing to comply with published national and/or international standards. Unfortunately, we incorrectly tend to assume that this is all we need to do, ignoring what may be needed to make our products, equipment or systems desirable to customers at our preferred prices, and hence profitable. We must always remember that standards’ requirements are chosen to be the minimum acceptable, so as not to impose unnecessary cost burdens on industries; and that within any industry there is a large variety of operational environments (e.g. stresses, strains and threats such as ESD) – so this ‘one size fits all’ approach cannot possibly be optimal for the financial success of every type of product, equipment or system. At the beginning of the EU’s Single Market, when CE marking was first introduced, EC officials assumed that their EU-harmonised standards would provide a basis from which manufacturers would develop further, to help differentiate their products. Those officials were most disappointed when, after a decade or so, it became clear that most manufacturers were simply doing the minimum they could to comply – regarding the harmonised standards as a ceiling to be reached, instead of a foundation to build upon. This is the sort of mistake made by managers who don’t understand the real purpose of common design and test standards, and never experienced the ad hoc approach of decades ago that made common standards so desirable. Like many of the problems in our electronics industries, this appears to be caused by the recruitment of people with no understanding of electronics or its applications (sometimes no understanding of engineering at all), as managers, accountants, and other administrators. This is something I touched upon in my recent article, and a subject that I intend to write more about. 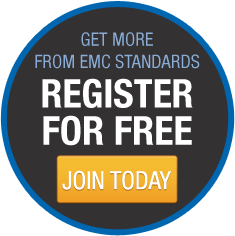 Because my expertise lies in EMC, let’s consider EMC standards. The real reason for complying with all ‘applicable’ EMC standards is that products, equipment and systems that don't comply are probably rubbish! They are likely to have too high a rate of malfunction and failure in real life, and can easily cause too much interference. Customers are more likely to choose a different supplier in the future, so trying to continue to sell such rubbish usually requires increasing the cost of sales and/or reducing prices, both of which reduce profitability. 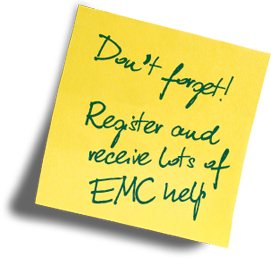 All EMC test standards and their set-ups are gross simplifications of real-life EMI, so if we want to do our best to reduce warranty costs and improve customer perception (reducing the cost of sales and allowing us to charge more for our products, equipment and systems) – we not only do the minimum required by the ‘applicable’ standards, but go further. For example, the risk assessment approach required by all current EU Directives, done properly, should ensure that all relevant design and test standards are applied – not just the ones listed as being ‘applicable’ for our product, equipment or system. The semiconductors in modern ICs have been die-shrunk to the point where they can respond to ESD events that have much shorter risetimes than the 0.7ns – 1.0ns ‘personnel discharge’ risetime specified by IEC 61000-4-2, for example ‘micro-gap’ metal-to-metal discharges. See Blog 23 for more in this. It is not necessarily 'overtesting' when we do more / go further than the requirements in the ‘applicable’ standards. Different manufacturers make products that are used in different ways, which will experience different electromagnetic threats – and if they pay attention to the causes of their warranty returns they may notice that by 'overtesting' certain issues they get fewer field failures and so make more profits. Or they might get more satisfied customers who buy more in the future, reducing the cost of sales and making more profits again. Or both. Note 1: When I write ‘complying with a standard’, I don’t mean obtaining ‘pass’ certificates from Independent 3rd-Party Test Labs. Instead, I mean being sure that if such tests were performed, they would most probably be passed. There are many ways of doing this, all of which are much quicker, and much less costly, than using 3rd-Party testing to prove a design, and described in various articles published for free by www.emcstandards.co.uk. Note 2: ‘Pass’ certificates from Independent 3rd-Party Test Labs are almost never required for compliance with EU Directives, and this article describes compliance with the EMC Directive without 3rd-party testing. Pass certificates only tend to be required when a Directive requires the approval of a Notified Body – and only then because most Notified Bodies are employed by Independent 3rd-Party Test Labs who get most of their income from testing!